Hope the notes are inside. All removal removed on Fridays perhaps!? Dettlaff now does 1 dmg with his 3 charges and summons a token with the same strength under deathblow. His provision is now at 15. Wait... but Eithne still does only 3 pings? Note: I've put both threads together and I'll be merging them with the official thread, once it goes live today. 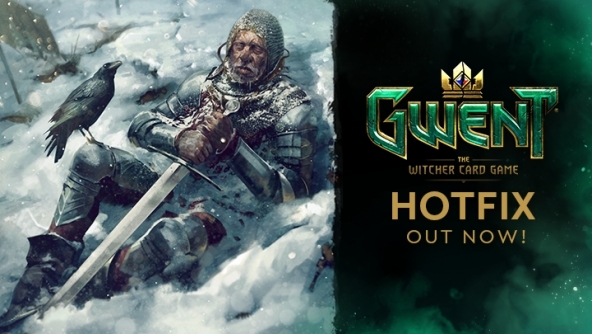 Thanks CDPR for quick Hot Fixes! They also nerfed Higher Vampire limiting his DW ability to 2. That feels unnecessary honestly. I had installed the update many matches before and nothing was changed with Detlaff, now suddenly from one game to another I have only one damage pings left. What's that supposed to mean? How should I know that this will happen? Sorry, it isn't ok anymore what CDPR is doing. And what will happen to the players that already abused Detlaff? May I ask when we can expect to see Crimson Curse's new leader tree? Those Crimson Curse Leader Contracts have "Mastery" Icon but they can't be found in Mastery Tab. They can only be found in ALL Tab, please fix this. Please raise a support ticket BrokeCiri.. May be in the next update it will get fixed. didnt get mill value on a nerfed detlaff card is very sad. even hearthstone the greediest game in the world still gives full mill value on their nerfed/changed cards. i also want to know when youll make it so that when the game is on in the background it doesnt let you click on things in game. What's a support ticket? How? Where? Botchling stays locked in the graveyard and stays locked when using Blue Dream on it. I want to send another report but whenever i go to the next step this note appears: "Thank you, your ticket has already been submitted. " You need X units damaged to trigger a bloodthirst on deploy yet Svalblod Ravager counts the unit he just damaged thus activating his bloodthirst ability. As you can see in the image, Vran is the only damaged unit before i played Ravager. I damaged Rotfiend with Ravager then for some reason it triggered his bloodthirst. Great, this is just great! Last night decided to play ranked. Then got stuck at that "sweet spot" where you have 5 pieces of mosaic but if you lose you still havent moved on to the next, for 3 f***ing hours, where i won, i loss i won, i loss. And the losses were against Dethlaffs or NR playing that stupid Hugebert, sometimes with that Yen+Hugebert that Calanthe enables! I thought that was just extreme bad luck, but turns out it was even worse because all of those losses by an inch wouldnt have happened with this bloody hotfix.